St. Sunday is 400 years old private house lovingly reformed and restored with a sunny rooftop terrace, all for your private use. 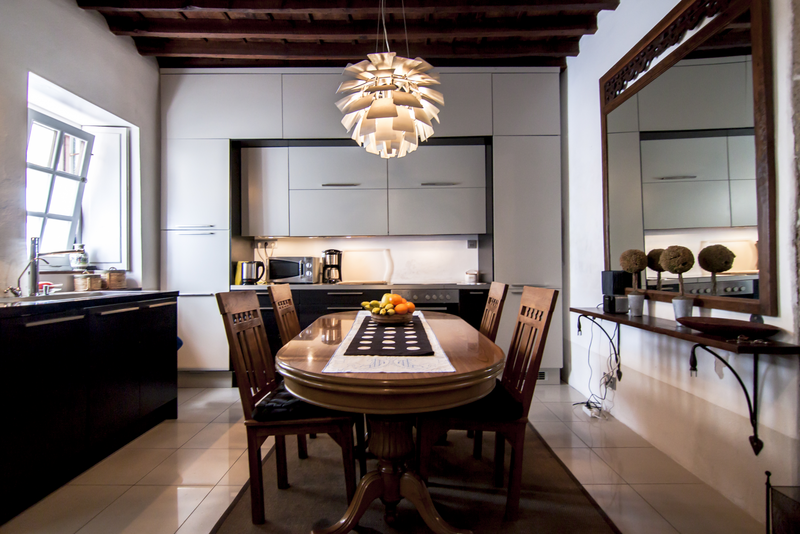 The excellent location is close to many of the best restaurants, cafes, bars, shops, museums and theatres and there is a five minute walk to the Vegueta Food Market Hall and to the Cathedral of Las Palmas. Gran Canaria airport is a twenty minute drive away and a shuttle service is available for an extra charge. The Canteras beach is a ten minute drive away. Parking in some local streets is free. 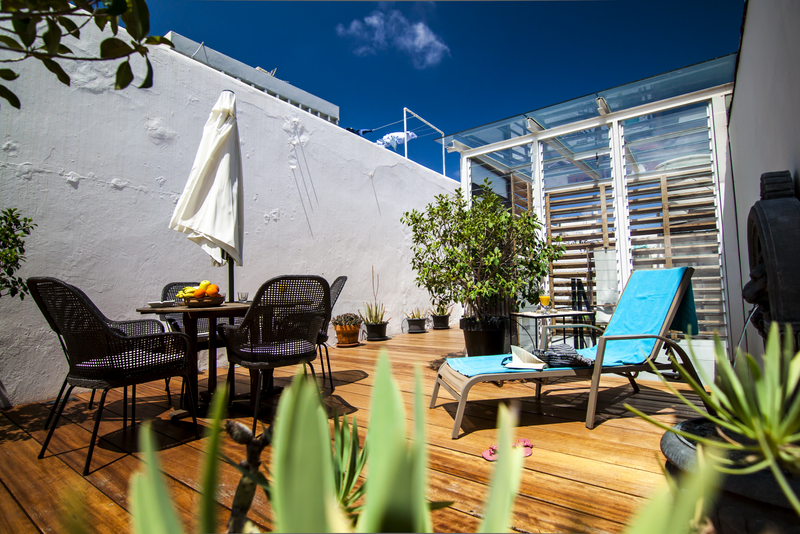 This mesmerising small stone house has been designed as a home for two architects and is situated next to the beautiful Plaza Santo Domingo square. 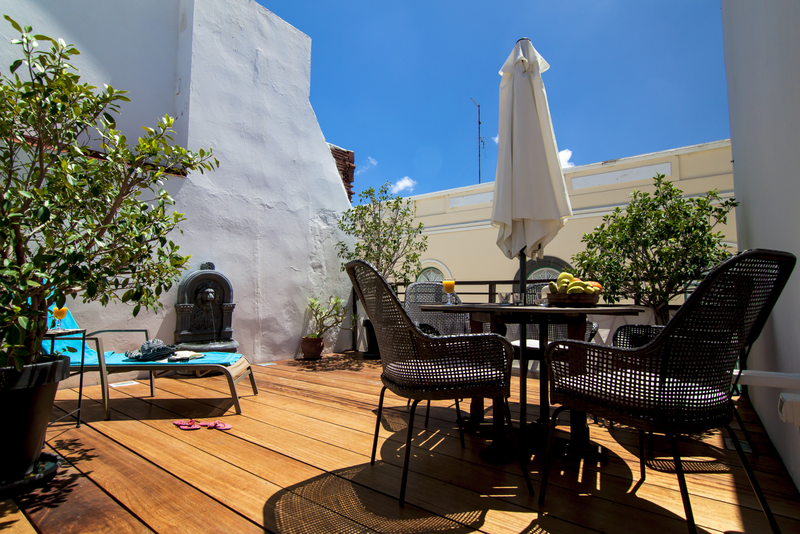 St. Sunday House accommodates up to 6 guests having two double bedrooms and a double sofa bed in the living room. Suitable for children over 3 years old and for babes-in-arms. A child's cot and high chair are available on request. St. Sunday House provides the bed linen, towels, beach towels, toiletries, hairdryer and the cleaning in the end of the stay; plus an extra cleaning in the middle of the stay when you book more than 7 days.